I’ve already written about coming up with the right listing price (what should I list my house for), but I wanted to touch on a specific issue I’ve seen a lot of lately. For whatever reason, home sellers seem to miss the mark when it comes to pricing their properties. Sure, it’s hard to nail it down perfectly, but there are some obvious numbers to avoid, in my opinion. 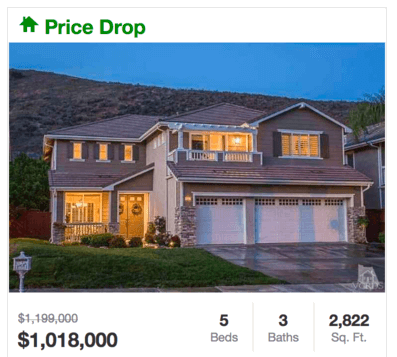 While it might seem cliché or predictable, I believe it actually makes sense to end your listing price with the numbers 999. Or start it with those numbers, as seen above. As in, $599,999. Why? Because prospective home buyers set their pricing thresholds between certain key amounts such as $600,000 and lower. If you list the home for $605,000, that potential buyer may never see your property simply because they set their max price slightly below it. And guess what? They’d probably stretch their budget to accommodate a slightly higher price if your lower listing price garnered multiple bids. If they’re willing to pay $600,000, they’ll probably pay $605,000 or even more if competition drives the price that high. A slightly lower price could attract multiple buyers and result in a final price that is much higher than the $599,000 list price. Conversely, the $605,000 price tag might scare away some folks and languish on the market. Even if it’s only a matter of a few thousand dollars, homeowners tend to be very sensitive to price. There’s a perception that a home priced at $605,000 is a lot pricier than a home priced at $599,000. The latter just looks and sounds better. The price is $5…versus the price is $6…the mere fact that it starts with the number five sounds a heck of a lot better than the alternative, even if it just boils down to mind games. There’s a reason retailers sell things for 99 cents as opposed to $1.00 even, or list prices with a 99 at the end of them. It allows customers to rationalize (in their own heads) a lower price. What’s the Upside of Listing Slightly Higher? Aside from the psychological effect, you have to question what the upside is. No pun intended here folks. Why list slightly higher? Do you think you’ll get a few thousand more for your home? I recently came across a home that was originally listed for $1,199,000. They got that part right. But then they did a mega price cut and lowered it to $1,018,000. Why did they lower it to within $18,000 of $1 million? Why not just lower it to $999,999 at that point? 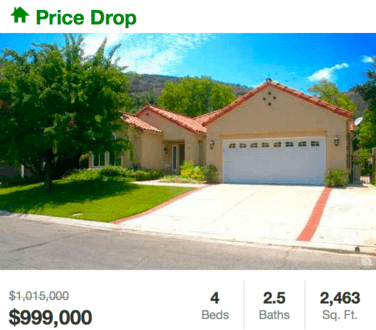 There are probably lots of potential buyers that have a max price set at $1 million, not $1,020,000. So they’ll never see this listing, despite the fact that it’s probably within their price range. It’s a bit of a head scratcher. The takeaway here is to really think your pricing strategy through and not just arbitrarily throw out numbers or simply go with what the real estate agent wants. If you’ve got a number in mind (and a strategy behind it) let your agent know so you can bounce ideas around. It could actually come back to haunt you if you list too high. There is data that says overpriced homes wind up selling for 5% less and sit on the market a lot longer. Might as well try a lower price point and bank on a bidding war (or at least multiple bids). 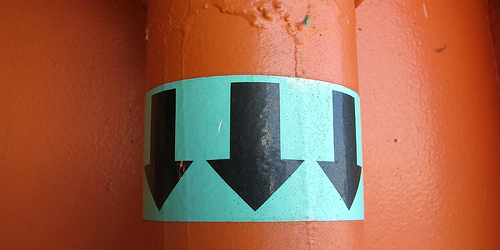 That way you won’t have to make an embarrassing price cut, and you can stoke a lot more demand.